A FAR-RIGHT activist has been handed a community order for assault and firing an air rifle out of his New Addington home. Frank Day, 65, attacked Samuel Bartlett and later fired a Titan air rifle from his house in Arnhem Drive, New Addington, on September 3. He pleaded guilty to assault by beating and firing the weapon at Croydon Magistrates’ Court today (Friday). Day, a member of the English Defence League (EDL), was sentenced to a 12 month community order during which he must complete 40 hours of unpaid work. He was also ordered to pay Mr Bartlett £60, and pay £85 costs. The air rifle will be forfeited and destroyed. Mr Day’s legal representative said his client accepted that firing the gun had been a “foolish act”. In February 2012, Mr Day publicly campaigned against plans to build a mosque in Purley. A RIOTER told police he wore a balaclava to imitate someone in a burkha during the trouble that broke out during a march in memory of murdered soldier Lee Rigby. The march was organised in Kingswood via social-networking website Facebook following the death of Drummer Rigby in Woolwich, London on May 22. 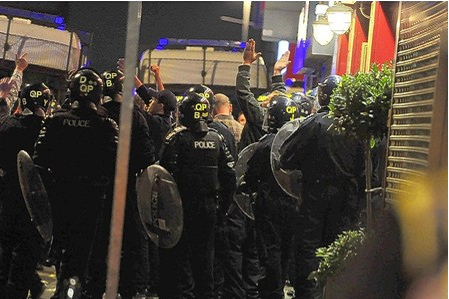 What started as a relatively peaceful event, with some 20 to 30 people involved, became fractious and resulted in police ‘kettling’ the group, that by then had swollen to around 60 people, in St George’s Hall pub in Redfield. During that time Oakley, a security guard, was filmed by police chanting, helping build the barricade of tables and chairs in the pub and kicking out at an police officer. The married father-of-two of Nover’s Lane, Knowle was arrested and later admitted affray. At Bristol Crown Court he was given a five-month prison sentence suspended for 12 months with 100 hours unpaid work and must pay a £80 victim surcharge. Richard Posner, prosecuting, said police quickly realised what had been organised as a family event was nothing of the sort and extra officers were called in. After they saw Oakley had kicked out at a police officer and helped build the barricade in the pub he was arrested and a balaclava was found in his jeans pocket. “He had put that balaclava on and made gestures at police officers,” Mr Posner said. Mr Posner said Oakley was quick to apologise for his actions and was seen to be ashamed and embarrassed that he had let his family down. 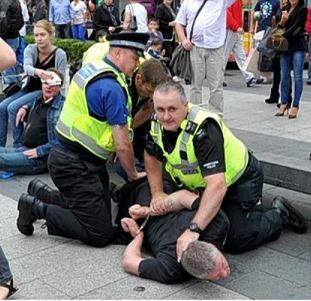 Robert Morgan-Jones, for Oakley, made it clear there was no evidence his client was a member of the EDL, had hurled racist abuse or thrown bottles at police officers. 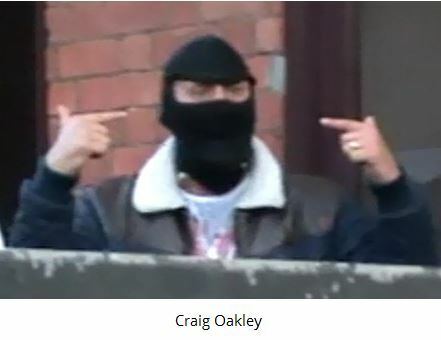 Mr Morgan-Jones conceded Oakley’s explanation for wearing the balaclava was “ridiculous” but denied he had it there to conceal his identity. “It speaks more of a lack of thought and stupidity than anything pre-planned,” he said. Mr Morgan-Jones said Oakley had written a letter expressing his remorse before he was even interviewed, and he had paid a heavy price because he had been unable to get his licence from the Security Industry Authority because of his actions. Recorder David Evans told Oakley: “You chose to take part in this event and stayed with the marchers for the duration once you had joined them. That meant going to various pubs and drinking alcohol with the group getting increasingly rowdy. “It has been said on your behalf that kicking out at police was a moment of madness but I’m afraid I don’t agree. “No one required you to go out drinking or to be at the forefront of the group. It was not a moment of madness, it was a moment of utterly unneeded drunken aggression. Disorder followed a walk raising money for the Help for Heroes charity, and in memory of murdered drummer Lee Rigby, in Bristol last month. Paul Lloyd, a family man involved in riots that followed the murder of soldier Lee Rigby has been given a suspended jail term. Paul Lloyd was singled out from a group of men who clashed with police when a supposed peace walk turned violent, Bristol Crown Court heard. The court was told members of the English Defence League, as well as supporters of United Against Fascists, converged in Kingswood for the social- media-sparked event. 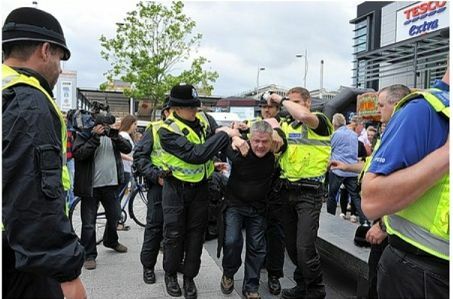 Police arrested Lloyd in a melee that resulted and spotted him mouthing “EDL” during a stand-off in a pub in St George, the court heard. Lloyd, 39, of Little Stoke, pleaded guilty to threatening unlawful violence The judge handed Lloyd a nine-month prison sentence, suspended for two years, with 200 hours of unpaid work. 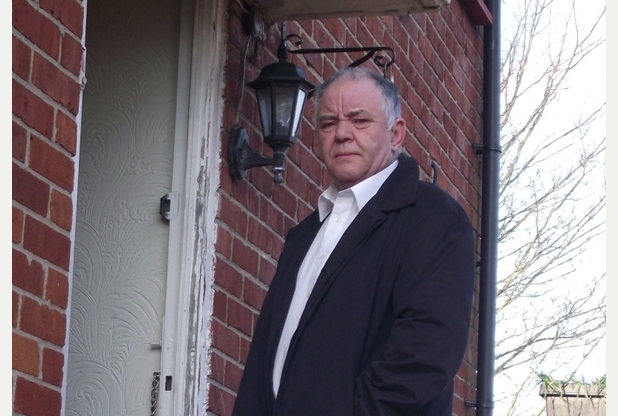 He was ordered to pay £150 prosecution costs and an £80 victim surcharge. Teenager admits racist graffiti near mosque. Laura Woodward, A teenager spray-painted racist graffiti near a mosque and daubed the names Saddam Hussein and Bin Laden on flats during a booze-fuelled spree. Laura Woodward, 19 of Byron Road, Addlestone, admitted four counts of racially and religious aggravated criminal damage and two of criminal damage. Woodward, appearing before Guildford magistrates last Thursday, also admitted racially aggravated damage to the front door of an Asian man whom she knew. Nick Wilson, prosecuting, told the court that Woodward and another girl bought spray paint from Hobbycraft in Woking on November 12 last year when they “commenced these acts of criminal damage”. The court was told that Woodward sprayed her name and either the number four or a cross in the ladies’ cloakroom at Hobbycraft. The pair then headed towards the Shah Jahan Mosque, where they painted racist words on a nearby wall in Oriental Road, mis-spelling England as they did so. It cost almost £1,000 to remove the offensive material. The public wall of the car park belonging to the same company was also sullied with racist graffiti, which the court heard will cost £344 to put right. A silver Seat Alhambra car was vandalised with pink spray paint, costing the owner £15 to wash off. The names Bin Laden and Saddam Hussein were daubed on the public wall of Walton Court flats and the letters EDL – an acronym for the English Defence League – were scrawled across the public wall and windows of business units 14 and 18 Boundary Way. Nick Wilson, prosecuting, said the additional charge was in relation to graffiti on the Asian man’s house door. “He treated her as his first girlfriend,” Mr Wilson said. The court heard that it would cost £1,500 for a new door. Chris McGlinchey, defending, said: “She was, as you may have gathered, substantially drunk. Mr McGlinchey added: “She fully accepts that these offences will have caused a great deal of offence and she has developed a degree of empathy as a result. “She is now in work and it is fair to say she has taken steps on her own part to reduce her drinking. She has asked me to make an apology on her behalf, which you may take with a pinch of salt but the apology is heartfelt. District Judge Workman said he had considered sending Woodward to a young offenders’ institution but instead decided on a community order. 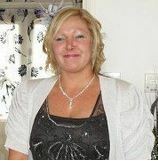 Woodward was sentenced to a 12-month community order plus 100 hours of unpaid work. She must also pay damages of £100 to the mosque and £400 for the damaged door. District Judge Workman said: “The unpaid work is to at least give something back to the community.